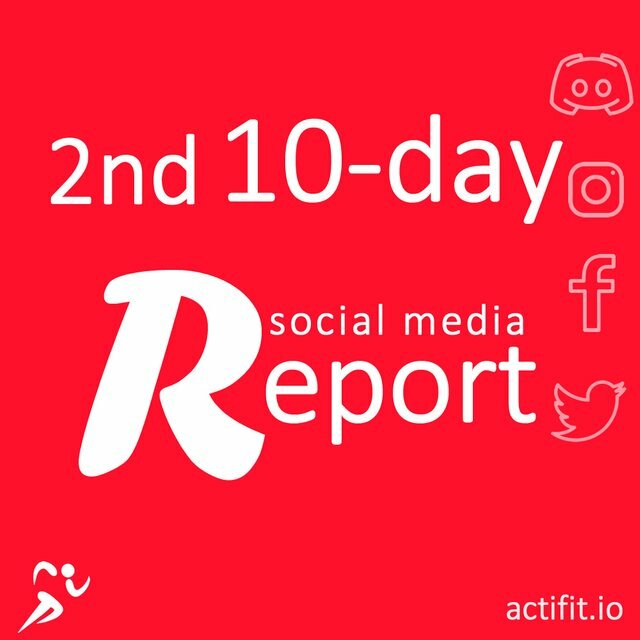 after the implementation of the Content Calendar, and the fist Actifit Social Media Report where the social media growth was reported, I decided to measure and compare the results for the next 10-days. I will then post another report at the first or second of January. I think that after that, it is best if these reports are shared on a biweekly or monthly basis. These last few days were full of events! These events helped a lot in adding more content about the news (that really can't and shouldn't wait)! Actifit was listed (with other steemapps) at the StateOfTheDapps! After the initiative by @soyrosa and the creation of SteemApps by @therealwolf, there was a great buzz about steem and of course about @actifit. Both of them were mentioned massively both in steemit but also on twitter and other social media channels. What you/we/everyone can do about it? Visit the above site and vote for your favorite apps! This is the link for Actifit https://www.stateofthedapps.com/dapps/actifit-fitness-tracker and the Team will be grateful for your support! 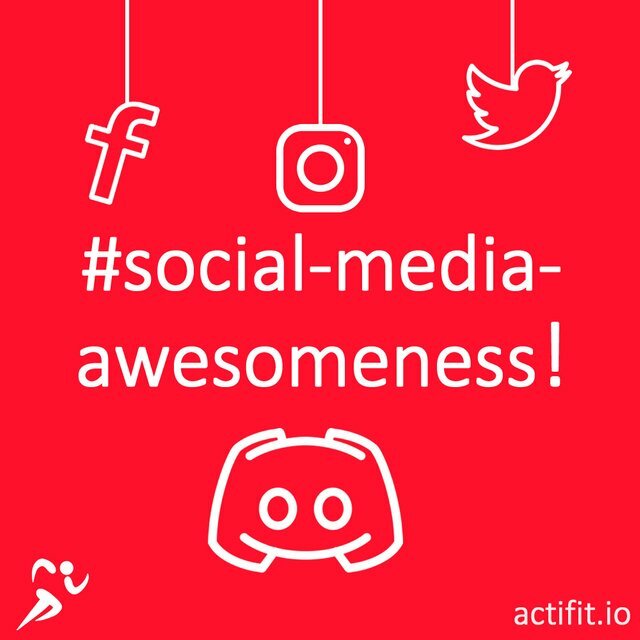 Our users have started sharing their activities and more about actifit both in twitter and also on Instagram! After that, they can come and share on the Discord! We have had some great entries & shares! Thank you Actifitters! 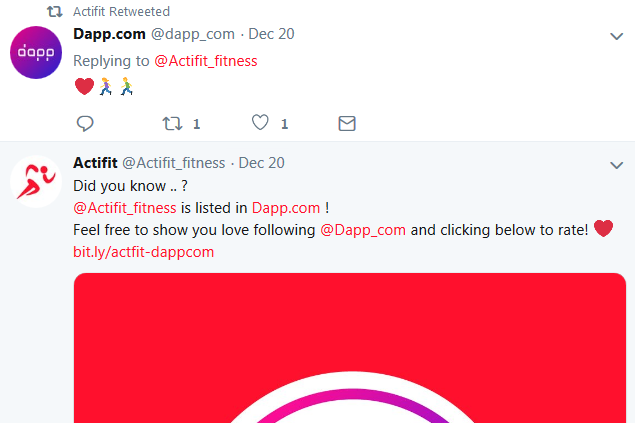 Actifit was listed with Dapp.com! They also share contests and we believe it can get actifit and the other steem apps further recognition, visibility, and usage! What we/you/all can do about it? 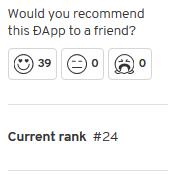 Visit http://bit.ly/actfit-dappcom and rate/review the actifit app and any other steem app that you use! 🏀 The social media champion was Twitter with a 18% increase in followers! 🏀 The big champion is still steem with 1998 followers! 🏀 The platform with the smaller increase percentage was Discord. We may have to do some extra actions for getting the attention of users and help them join Discord. It is a popular channel mostly among steem users, but maybe more people could join if they understood the potential and the wonderful communities they can find there! There was an increase in followers as well as an increase in engagement. We did receive a few questions and some nice comments about the content shared. We see that from the 18 actions taken on the profile from Dec 15 to Dec 21, most of them were taken on Tuesday. This is the day when we used an image with a pretty girl to inform about the latest news. As per Instagram post insights, 77 accounts discovered actifit, and 38% of the were not following actifit! This can help us understand what is more engaging and create the content for next month accordingly. There was a good increase without further promotions or invites. 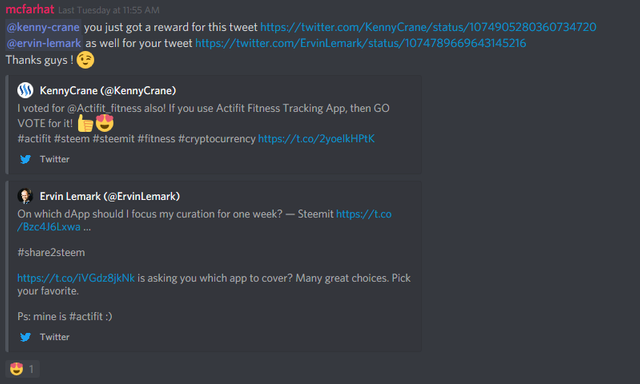 The most popular post in terms of reach and engagement was the one with a short video that we shared about a user sharing actifit and getting rewards for it! 18% increase in followers and the champion! It was a nice 10-days time frame for Twitter, lots of engagement and mentions! At the moment, as this is only the beginning of this effort, the goals are not specific. We wish to grow the community, increase engagement and all this while the users are being active and enjoy the benefits of healthy living! You can check out the planned social media calendar for December here! 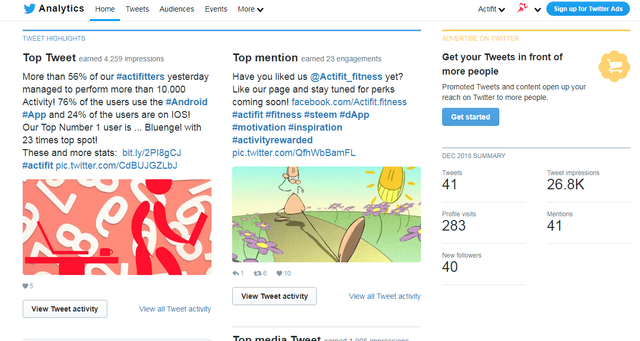 This is another excellent post on the Social media report for the Actifit project. I like the format and the quality of the images/gif used. 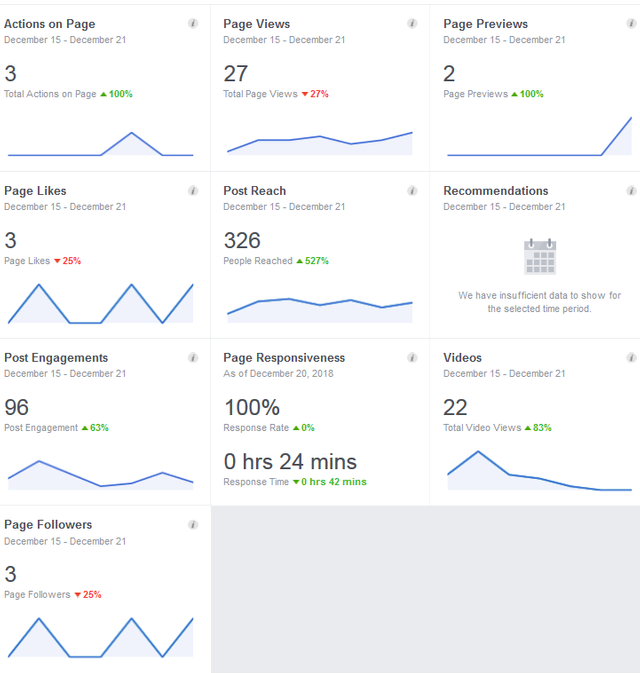 Also, I like the detailed analysis you provided about the changes and increase on the Social media engagement. It appears there is quite an improvement and growth in the number of followers/activities compare to the first report. That's really good! No doubt, Actifit is a lovely project, and more people need to know about it. In addition, I'd recommend a more thorough check of your future texts to avoid some grammar and typo issues. Grammarly could help fix some. Regardless, I appreciate your effort and keep up the great work! Thank you for all the great work @katerinaramm! You've been accordingly rewarded 200 Actifit tokens, as well as an Actifit upvote. Your UA account score is currently 4.546 which ranks you at #1866 across all Steem accounts. Your rank has improved 2 places in the last three days (old rank 1868). In our last Algorithmic Curation Round, consisting of 214 contributions, your post is ranked at #14.
iparxei to invite tou greek-trail gia to discord?